Bettina Drummond, on her farm in Washington on Nov. 5. WASHINGTON — Bettina Drummond remembers watching renowned equestrian Nuno Oliveira on horseback, suspended in the air with the sunlight streaming on his face. “It was like seeing a great dancer,” said Drummond, 55, and a noted equestrian herself. She now teaches others in the art of dressage. Her instructional work and skill earned her the honorary title of “écuyere,” making her just one of 26 at the Cadre noir, which is the corp connected to the French National Riding School in Saumur. She is also only one of just a few women and the second American to get the distinction. Drummond came to Saumur for the first time as a teenager, serving as the assistant to Oliveira who was there teaching the master riders of the Cadre noir. Though he was Portuguese, he was connected to the French style of dressage and promoted those principles of riding. Drummond carried that on and will help out at Saumur as well. She also invites members of the Cadre noir to her clinics and programs in the states. 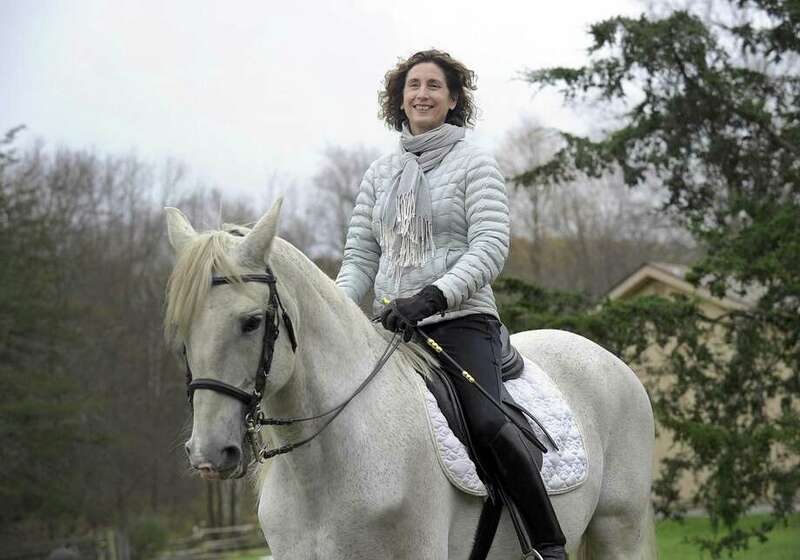 It’s this history and her “impressive knowledge of that classical way of riding” that earned her the distinction, said Col. Patrick Teisserenc, écuyer-en-chef of the French National Riding School. Drummond said the recognition came as a surprise. She had planned to attend the gala to honor her former mentor and another rider, who was teaching the style of riding in Iran and protected horses during the Iranian revolution. Dressage has its origins in the French cavalry and instills an idea of not pushing the horse past what it can physically or mentally handle. This practice tends to let the horses live longer and Drummond calls it more compassionate than other styles of riding, focusing on the relationship between horse and rider. She said the idea was instilled in the American cavalry and is still practiced by cowboys in the American west who would not be able to work or return home without their horses, much like the cavalry fighting. “There’s a spectacular amount of trust and you have to have,” she said. There are four distinct schools, each with their own characteristics: Spanish, French, Austrian and Portuguese. The French are known for their somber elegance, the Portuguese style is more fun, while the Austrian style is uniform. By preserving and teaching this art form, Drummond said she is protecting France’s heritage and culture. She began riding with Oliveira when she was 7 and performing when she was 11. She got involved through her mother who was a horseback rider in Long Island but moved to Europe when she married a French man. Her mother learned of the dressage style and moved to Portugal to study it, getting her daughters involved as well. Drummond became a teacher by happenstance. She broke her back and was unable to ride. A Florida couple she was working with asked her to teach them what she knows. She now has students on the west coast, up here and in the south, as well as in France though her organization Apaha. Drummond also hosts clinics. “It coalesced everything I believed in and helping one another keep a beautiful art form alive,” she said. Drummond decided to stay in America to teach as a promise to her mother, but also because she had more opportunities as a female rider in the U.S. than in Europe where the sport is male-dominated due to its military origins. She thinks there are more women riding this style in the States because of the compassion elements, as well as the field being more open since the male riders are now judges or instructors. There’s also more pop culture about girls and their horses. Drummond sees the art form gaining popularity and said beautiful things are more needed with how chaotic the world has become. “Arts have a big role to calm people and keep them inspired and hopeful,” she said.